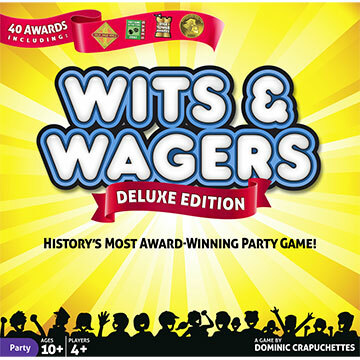 First Wits & Wagers became the most award-winning party game in history. Then it sold over 1 million games. And now it is being upgraded!Wits & Wagers Deluxe is the same great game with the same great price as Wits & Wagers, but with higher quality betting tokens, poker chips, dry erase pens, and betting mat.So out with the old and in with the new! 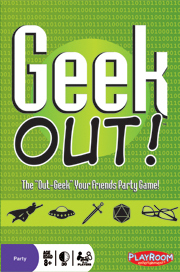 Wits & Wagers Deluxe - the ultimate Wits & Wagers experience.Not a trivia buff? It doesn't matter! Each player writes a guess to a question such as "In what year did the bikini swimsuit makes its first appearance?" or "How many feet wide is an NFL football field?" and places it face-up on the betting mat. Think you know the answer? Bet on your guess. Think you know who the experts are? Bet on their guess. The closest answer pays out according to the odds on the betting mat. Strike it big and you'll be cheering like you just hit the jackpot!Wits & Wagers is a trivia game that lets you bet on anyone's answer. 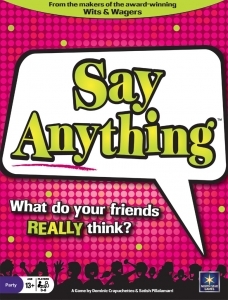 So you can win by making educated guesses, by playing the odds, or by knowing the interests of your friends. 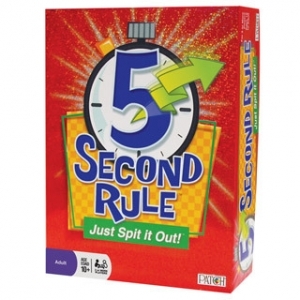 It can be taught in 2 minutes, played in 25 minutes, and accommodates up to 20 people in teams.